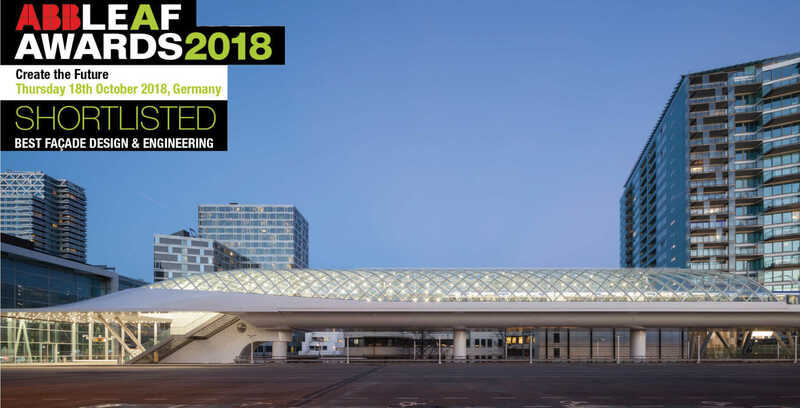 Lightrailstation The Hague, designed by ZJA Zwarts & Jansma Architects, has been shortlisted for the ABB LEAF Awards 2018 in the category ‘Best façade design & engineering’. 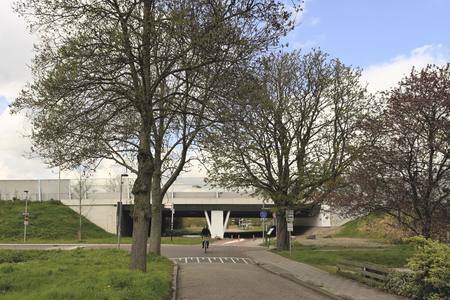 Lightrailstation The Hague is located right next to railway station The Hague Central on a bridge structure approx. 15m above grade. Positioning the tracks and the lightrailstation at this level ensures strong visibility, allowing emphasis to be placed on the overall appearance of the combined viaduct and lightrailstation. 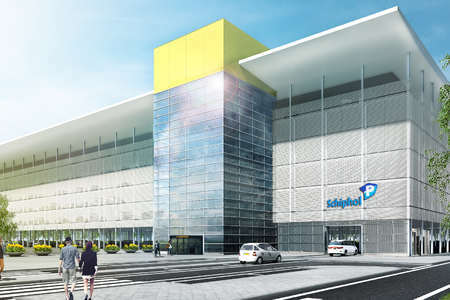 The sculptural architecture presents a smooth transition from the slender viaduct to the spatial lightrailstation and to the canopy that connects with the façade of the railway station. 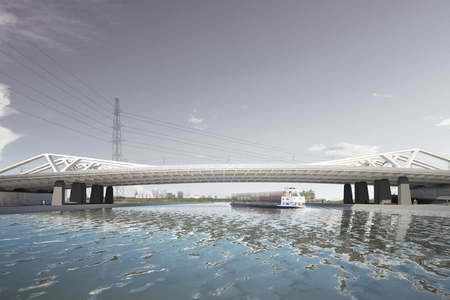 In cooperation with Knippers Helbig ZJA developed a computational design model for the spatial roof structure that generated and analysed the structure, at the same time providing geometrical and structural optimization. This optimization allowed for the use of single-curved and cold-bent glass. 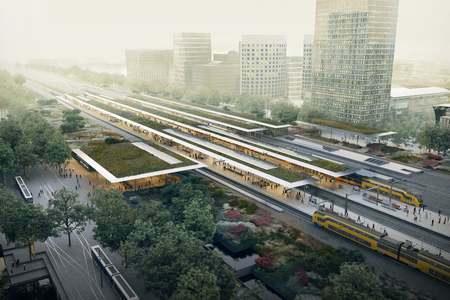 The shape of the lightrail station could also be realized not only because it was structurally and technically feasible, but also cost-efficient. Assembly of steel members and glass panes was done on site. For the nose part of the roof the single curved glass panes were manually given a slight double curvature to meet the challenging shape of the roof’s nose. 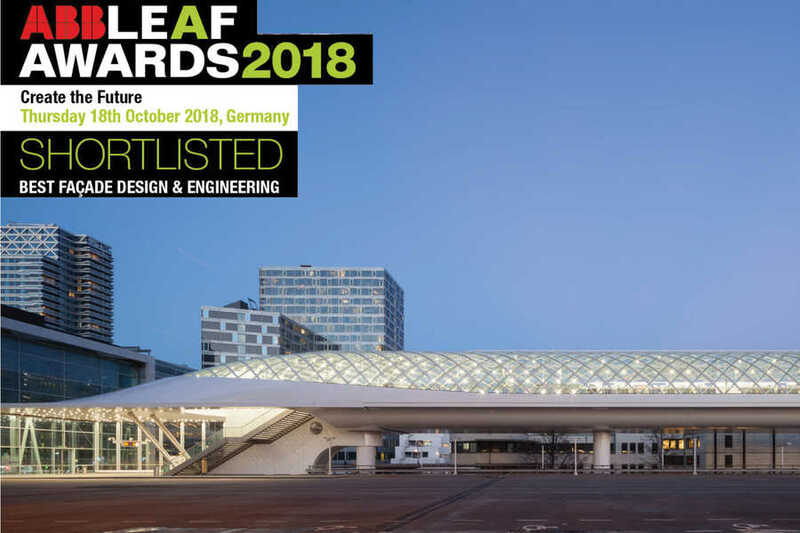 The ABB LEAF (Leading European Architecture Forum) Awards is an annual international architecture award that recognizes innovative architectural design that sets the benchmark for the international architectural community. Winners will be announced at the ABB LEAF Awards Gala Ceremony on October 18th in Frankfurt, Germany.